If the Pain Returns, Transform It! You've probably read my recent posts about the amazing transformation that occurred for me the week of January 21st 2018 when Master Sha gave me several Tao Calligraphy Golden Light Ball blessings. Pain levels that would climb over a 10, suddenly dissipated and I started waking up completely pain-free. I could walk, stand, and sit without any pain. On January 31st, during the Lunar Eclipse/Blue Moon, low levels of pain and inflammation returned. My initial thought was "on no!" My second thought was "Do a Forgiveness Practice!" Instantly, my heart filled to overflowing with immense gratitude towards Master Sha, Heaven and all souls for giving me back my life. What a gift!! The return of low levels of pain means I have more spiritual blockages to clear and my body is in fact healing, as you will read below. Please know that I still wake up pain-free every day, but during the day, I sometimes experience low levels of pain. That pain is concentrated in my lower abdomen, not my whole body, as occurred previously. My mobility is intact, so I continue to stand and walk with grace and ease! Practice is an essential component of Soul Mind Body Medicine and Tao Wisdom. The spiritual treasures available through Master Sha Tao Chang clear significant spiritual blockages. For me, the removal of the spiritual blockages was followed by a decrease in pain, which Western Medicine would say was a decrease in inflammation. Daily practices help support the body's innate healing abilities. an incredible amount of Tao knowledge, wisdom and practical techniques that are easy for everyone to do. 1) Pain is Too Much Energy - In traditional Chinese medicine, pain is caused by an accumulation of energy in the meridians or energy pathways. 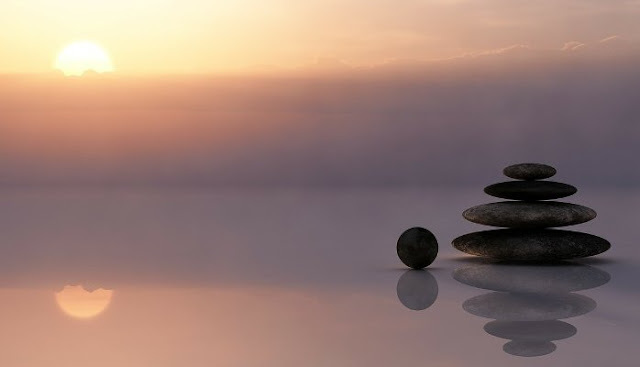 In Soul Mind Body Medicine, the concept is expanded to include spaces between the organs, between cells, between tiny matter inside the cells, and in the tiniest spaces inside the cells. You can transform this! Apply the Five Power Techniques® to help dissipate the excess energy. Start with Body Power or hand and body positions to promote the flow of energy and matter. Bring all five fingertips of one hand together. You will use this in Tao Calligraphy Tracing Practice. Place the other hand over the area of the body that is in pain or needs transformation. At times when the pain is strong, I simply place both hands over my lower abdomen, or place a book over my lower abdomen. There is great flexibility. 2) Be Grateful for Everything - Be very grateful for what you have received. The Tao Chang Golden Light Balls, other spiritual treasures or, other therapies are working hard to remove blockages that you created over many lifetimes. The symptoms may be part of that clearing process. The excess energy has begun to move through the body. The excess matter has begun to clear. There is movement where previously there was stagnation of energy and possibly body fluids. Be grateful for any and all levels of pain-relief or transformation facilitated by your doctors, therapists, medications, Master Teachers, Da Ai (Greatest Love) Light Balls, 4th Dimension Golden Light Balls, etc. Be very grateful. Master Marilyn Smith, author of Gratitude: A Key to Happiness, teaches that gratitude is the key to transforming one's life. 3) Change the Message - Seventeen years ago when my symptoms would return and I would sadly recite the litany of ailments, Master Sha repeatedly guided me to "Change the message." I would think to myself, "Doesn't Master Sha understand that the illness has returned, and its probably worse than before?" These thoughts are common for people with chronic conditions, whose symptoms disappeared, then returned. Each time hope was raised and lost. Master Sha was steadfast and repeated his guidance "Change the message." Focus on the outcome not the disease. Use your thoughts to affirm a positive outcome, "The liver has healed. The heart has healed. Perfect heart. Perfect Liver. Perfect back, etc." Several of today's leading teachers in the realm of quantum physics have scientifically proven this phenomena. 4) Do Forgiveness Practice - Remember pain is a sign of karma. Instantly do a Forgiveness Practice from Master Sha's newest book, Greatest Love book, page 40-41, or click on this link: Forgiveness Practice for Humanity. Why? In his book, Greatest Love, Master Sha explains that we have all made mistakes in past lives that affect our present life. Forgiveness Practice enables us to self-clear our past negative karma. Try it! 5) Say Hello - We are in the Soul Light Era, a new era in which soul over matter will be the prevailing wisdom. We apply Soul Power to invoke the power of the soul to transform an issue. Greatest Love has many examples of this. Here's the invocation for back issues, page 47. I deeply apologize for all of the mistakes that my ancestors and I have made in all lifetimes. I ask for forgiveness for my ancestors and me. I know in my heart and soul to only ask for forgiveness is not enough. To serve is to make others happier and healthier. I will serve more and more. I am very grateful for all the blessings. 6) Chant 24/7 - "What you chant is what you become," is another key teaching of Dr and Master Sha. Chanting is Sound Power. When the pain or other symptoms return, instantly remind yourself to chant. Do not engage with the pain. Do not align with the pain. Observe it with detachment. Chant the Da Ai or Greatest Love mantra, Love Peace Harmony, 4th Dimension [insert name of organ] or any other mantra that resonates with you. Connect with the mantra. Become the mantra. Mantras are sacred sounds that carry healing frequency and vibration. Chant to raise your frequency and vibration, enabling the excess energy to dissipate more quickly. I do this practice several times a day to keep pain levels low. I simply stop everything I'm doing and for just a few minutes, I lie down and silently chant. Within minutes, there is a shift. Pain levels drop. My body feels aligned and harmonized. My thinking is clear again. Try it. You can do it sitting, standing or lying down. 7) Visualize Golden Light - In addition to the Forgiveness Practice and chanting. Master Sha teaches Mind Power, or creative visualization. Visualize or imagine Golden Light Balls or Golden Light in your entire body or in the area of discomfort. "Golden light shines, sickness disappears," is an ancient Chinese healing wisdom. Golden Light is the first frequency of healing. Visualize the light flowing smoothly head to toe, skin to bone. Master Sha's one sentence secret for Mind Power is "Where you put your mind is where the healing and transformation occur." 8) Trace Tao Calligraphy -Tao Calligraphy is a new healing art form created by Master Sha, using the unique Yi Bi Zi or oneness writing, and transmitting Source frequency and vibration onto it. 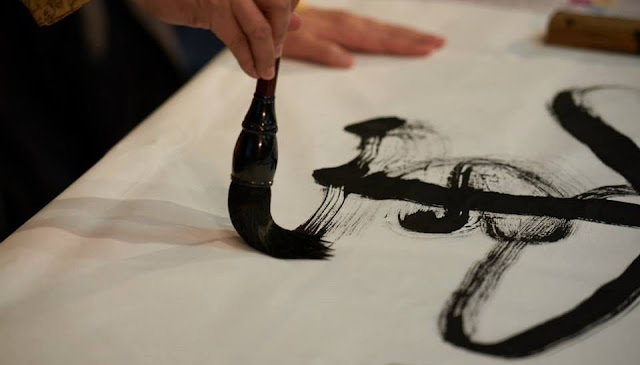 When we trace a Tao Calligraphy, we connect with the Source frequency and vibration and bring it directly into our soul, heart, mind and body to clear and transform blockages. Trace any Tao Calligraphy in Master Sha's books. Trace the Tao Calligraphy Da Ai, Greatest Love card. If the pain or other symptoms are strong, you may not be able to concentrate enough to trace for extended periods of time. Start by tracing for a few minutes, then put the card over the area of discomfort for a few minutes. Repeat. Over time you will be able to trace for longer and longer periods and the discomfort will dissipate more quickly. There are also some everyday things you can do such as calling a friend, especially one that needs support. When we serve we forget about our problems. Their pain will dissipate, and so will yours. From a spiritual perspective, service makes others happier and healthier. Their gratitude comes back in the form of spiritual virtue that helps clear the past mistakes causing our pain. In simple human terms, when we give love, we receive love. We all need lots of love to heal. As Master Sha's powerful teaching states "Love melts all blockages." May love melt all your blockages and may you be pain-free. Truly and deeply grateful for your healing and continued healing, for your life and soul journey which always connects me to my inner strength and purpose and further awakening . I hear the truth and the calling to purpose and action so clearly through your heart and soul. I am deeply grateful. Dear Shawna, I'm deeply touched by your post and honored that my blog serves you. You are strong. You are resilient. You are on the right path. Keep serving and your purpose will unfold step by step. I am so glad we are on this journey together. Thank you Master XImena for your blog. You are offering so many ways to transform pain into a spiritual experience. I particularly like the idea of serving and it will take our mind away from the pain. My human mind would not have thought about that but my soul knows it is so true and the way to advance on my spiritual journey. Thank you for your love. Thank you for your service. Thank you Master Ximena for this profound teaching to always remember to have gratitude inspite of challenges in life. I wake up pain-free. This a miracle! Tao Centers, Tao Calligraphy, Tao Chang, and Tao Jin Dans are the only reason that today I can walk, run, sit, kneel, bend, lift, and do anything. A YEAR AGO, I had excruciating pain - level 25 on a scale of 1-10. My spinal cord was thick with inflammation and leaking. The sheath of the spinal cord was compromised. Pockets of spinal fluid had created cysts along the cord, the most painful were on the roots of the nerves at S1, S2 (sacrum). I learned to sleep in one position, perfectly still because any movement shot pain through my spine. In the mornings, I could not even roll off the bed because I could not move my neck. There was so much spinal fluid in my neck. I had ‘concussion headaches’ that lasted for days due to the amount of spinal fluid my body was releasing. Shredding is a simple enough task. You drop old birthday cards, letters, journals, receipts into a shredder and instantly the past is gone -- not exactly. Until a few days ago, I never considered shredding a spiritual practice, but this simple 'project' shook me into a deeper state of awareness and understanding about karma. Twenty years of journals with beautiful, handcrafted, one-of-a-kind covers, tied with silk ribbons, meticulously wrapped in tissue paper, and lovingly placed in individual boxes, sat quietly and patiently perched on a shelf for years. I would look at them and think "one day I need to do something with those journals." Yesterday I was reminded of how much we all want to be loved, financially free, and connected to humanity and the world in a deep and profound way. When we do not have this, we suffer greatly. 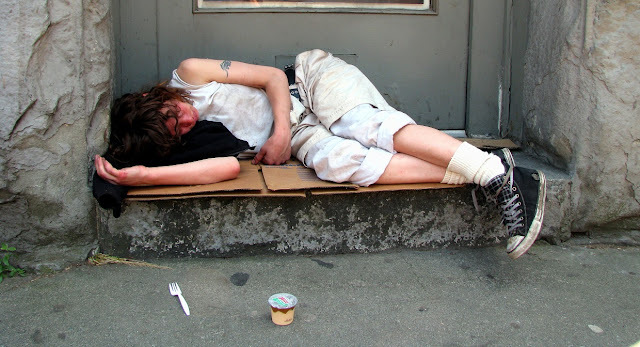 Recently I was in Vancouver's Downtown Eastside, an area known for its devastating opioid epidemic. To enter the Vancouver Radio Co-op, we asked those camped in the doorway to allow us to pass. They politely moved out of the way, while they continued preparing their drugs. As I thought about their lives, wondering how did they get there, two realizations came to me. This group has no pretense or facade. To some extent, they have resigned themselves to the totality of a pain that is visible, all-consuming and raw. They yearn for relief from that relentless agony, and will do anything, but they do not pretend that they are not in pain.